Jane Abao, (Soriano’s minion) like so many Fundamentalists use the argument that because there are some abuse cases by Priests in the Catholic Church, then it means that the Catholic Church is not the true and that these Priests are of Satan. Of course Jane Abao is saying this after Eli Soriano raped the body of Daniel Veridiano, after David Koresh, PROTESTANT MINISTER, molested all of those young girls in Waco, after Jimmy Swaggart, PROTESTANT MINISTER, had been down to Bourbon Street on numerous occasions to see his girl friends, after Jim Bakker, PROTESTANT MINISTER, had had his fling with his girl friend, after Jim Jones, PROTESTANT MINISTER, had poisoned all of those kids and adults down in Jonestown, and after the Puritans, PROTESTANTS, had murdered all of those “witches” up there in Salem. And more recently, Tony Alamo, PROTESTANT MINISTER, was arrested in Arkansas for molesting young girls. And who can forget Warren Jeff’s MORMON compound in West Texas, where young girls were forced to marry “elders” in the MORMON Church? The list is endless. 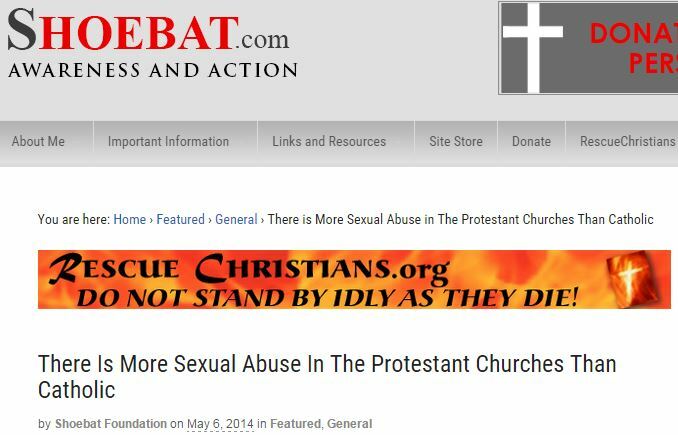 I can continue presenting more sources proving that Protestant abuse cases are much greater than those by Catholic Priests incase Abao does not know that.But again there is no point of doing all this. People like Abao- who is a self-confessed cultist- are so fond of talking without employing any reasoning. Instead she engages in tactics of rhetorical fallacies for the misdeeds of a few while shelving those misdeed for where she belongs. Embarrassingly for this woman, she is ignorant of the fact that Protestant abuse cases are greater than those in the Catholic Church as the evidence above shows. But what is the point of all this. We are all sinners. Using an argument of abuse cases is not really a good argument for making the case of the true Church. Abao proves clearly that she is utterly bereft of sound arguments and logic. Surely not much can be expected of poorly trained, intellectually ill equipped and objectively lacking individual like this woman. I have observed Abao’s arguments on various boards and the image that emerges is that she is clearly unable to provide clear, concise and objective arguments supporting his claims, much less any solid theological or philosophical evidence to counter challenges. She spends much time talking on and on and on, with the same line of reasoning employed by her boss Soriano but covers absolutely nothing objective to prove. She also has such a nauseating level of smarmy arrogance that makes her appear like a religious zealot. The above is a taste of your own medicine. If you can make Catholicism to appear bad through exaggerations and mistruths, I can do the same with your Protestantism sects and cults. 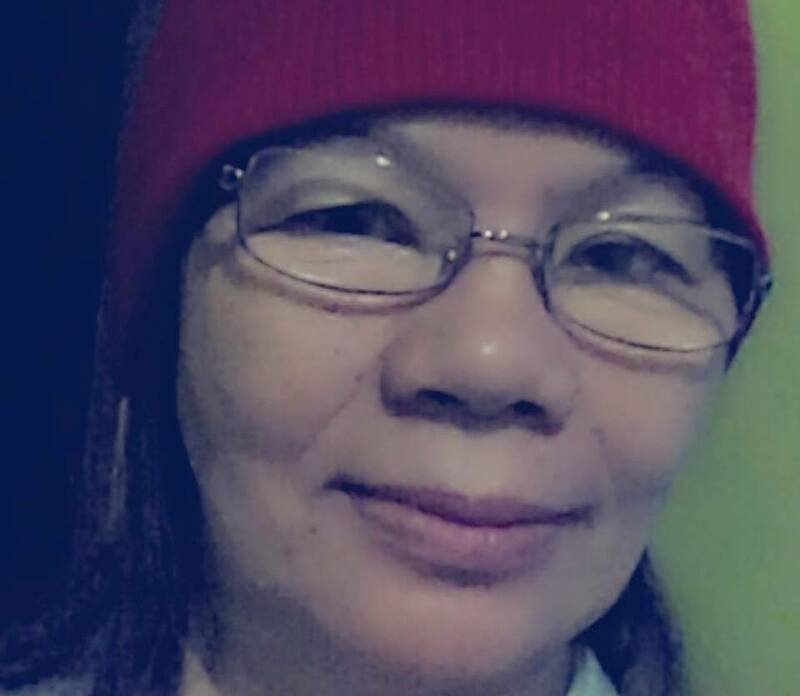 This entry was posted in ADD-a greedy business empire, Eli Soriano-a maw of a false Preacher, Lies and deception, Lies and Misinformation, Rebuttals, Rhetorical fallacies and false reasoning and tagged Jane Abao, Lies and Misinformation, Rhetorical fallacies and false reasoning, Scandals. Bookmark the permalink.